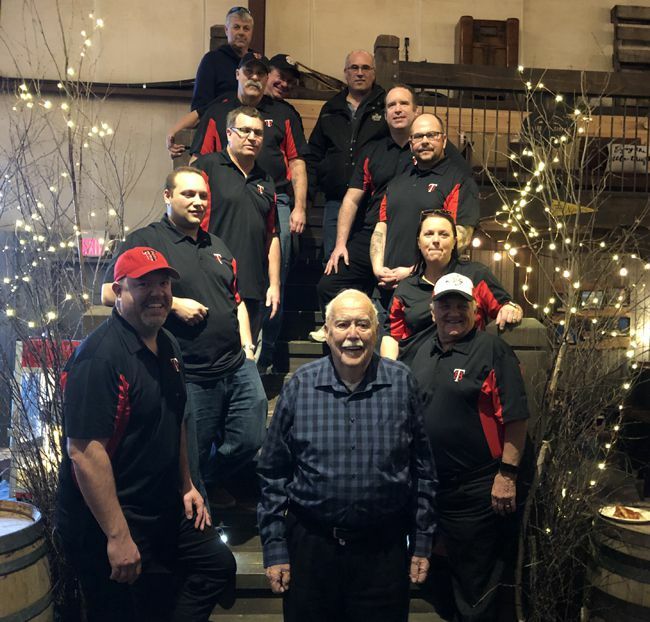 THUNDER BAY, ONTARIO - March 14, 2019 (LSN) Thunder Bay, Ont. - The Thunder Bay Border Cats are pleased to announce the signings of three pitchers for the 2019 Northwoods League season with the addition of Josh Leaser, Austin Eggleston and Joe Moran. SAULT STE. MARIE, ONTARIO - March 12, 2019 (LSN) The Soo Greyhounds of the Ontario Hockey League (OHL) are pleased to announce the formalization of a partnership with both Sault Major Hockey Association and the Sault Female Hockey Association that will see the rep teams of these two organizations donning a new Soo Junior Greyhounds logo. 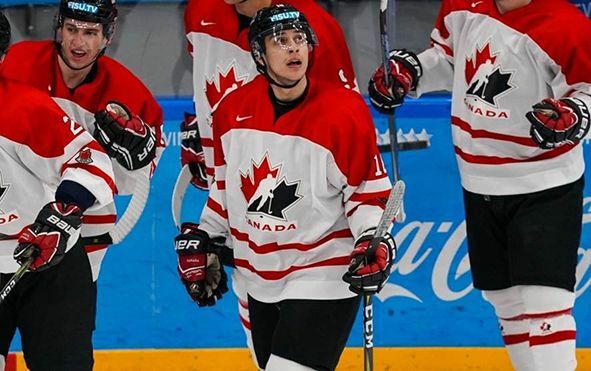 THUNDER BAY, ONTARIO - March 12, 2019 (LSN) Lakehead Thunderwolves’ forward Daniel Del Paggio scored a goal and added an assist as Canada blanked Kazakhstan 3-0 to win the bronze medal at the 29th Winter Universiade in Krasnoyarsk, Russia. The host Russian team, which defeated Canada 5-1 in the semi-final, took the gold medal with a 2-1 win over Slovakia. Del Paggio averaged a point per game in Russia, recording four goals and three assists in Canada’s seven contests. 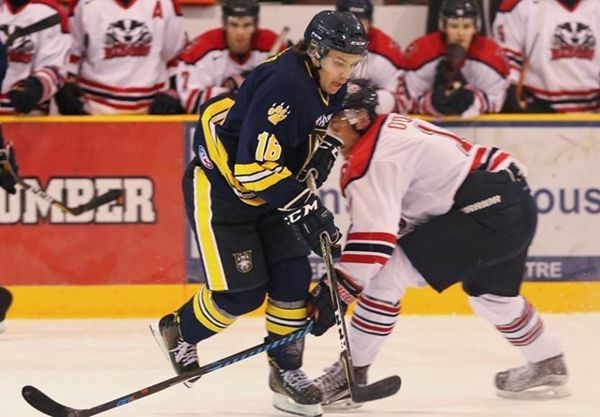 THUNDER BAY, ONTARIO - March 11, 2019 (LSN) Defenceman Chase Stewart has decided to leave Lakehead University and return to Fort Wayne of the ECHL where he played from last October until just before Christmas. 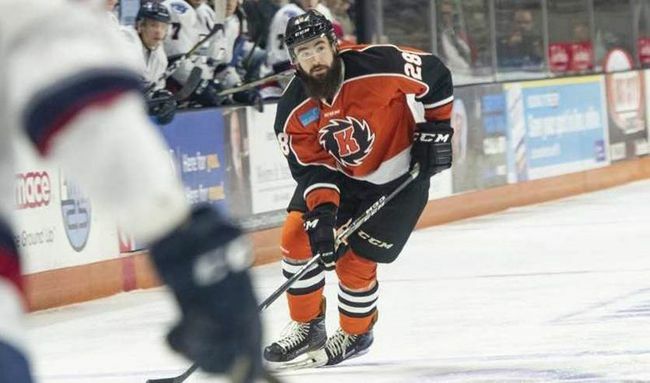 He suited up for 20 games with the Komets in the fall, scoring 4 goals and 7 assists for 11 points before deciding to leave Fort Wayne and enroll at Lakehead for the winter term. THUNDER BAY, ONTARIO - February 27, 2019 (LSN) As the Thunder Bay Kings, in conjunction with Hockey Canada, Hockey Northwestern Ontario and the Thunder Bay Minor Hockey Association, busily prepare and gear up to host the 2019 TELUS Cup Canadian National Midget Championship, April 22-28, at the Fort William Gardens, it brings back recollections of past success clubs from the Lakehead have achieved at previous events. THUNDER BAY, ONTARIO - February 14, 2019 (LSN) Although mother nature has not been on our side, Ice Racing Motorcycles Thunder Bay and Area have now cleared a track and started to practice out on the ice this past weekend. 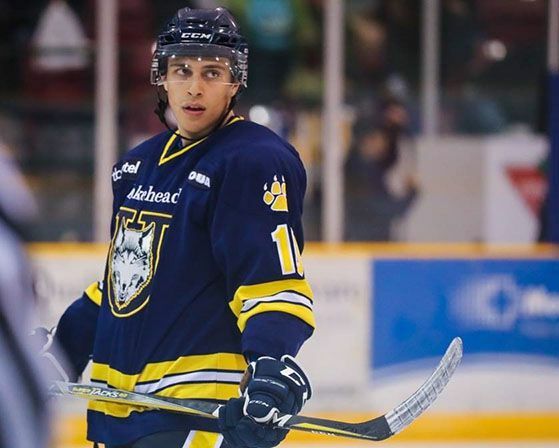 LONDON, ONTARIO - February 11, 2019 (LSN) Lakehead Thunderwolves’ sophomore forward Daniel Del Paggio is the winner of the Molson Cup trophy for the 2018-19 season. Molson Cup points are awarded to players that are selected as one of the Molson three stars of the game after Thunderwolves hockey home contests. Five points are awarded for a first-star selection, three points for a second star, and two points for a third. 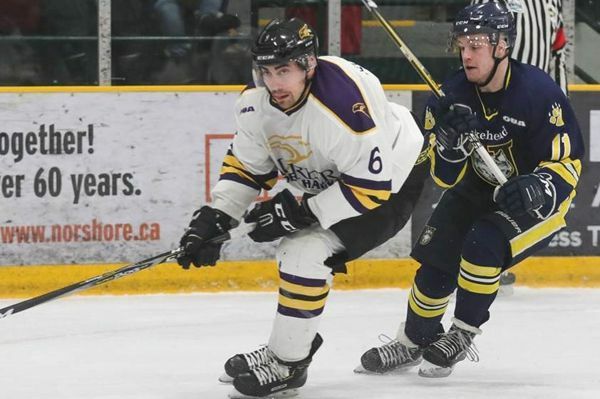 LONDON, ONTARIO - February 9, 2019 (LSN) The Lakehead Thunderwolves downed the Western Mustangs 5-1 at Thompson Arena on Saturday afternoon to finish up the 2018-19 season on a high note. 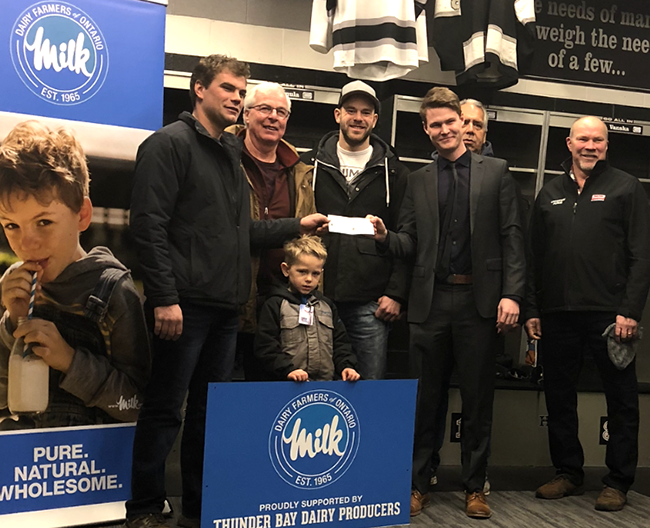 THUNDER BAY, ONTARIO - February 8, 2019 (LSN) Canada’s national Midget hockey Championship is being held in Thunder Bay this April and the organizers need over 200 volunteers to ensure that it runs smoothly. 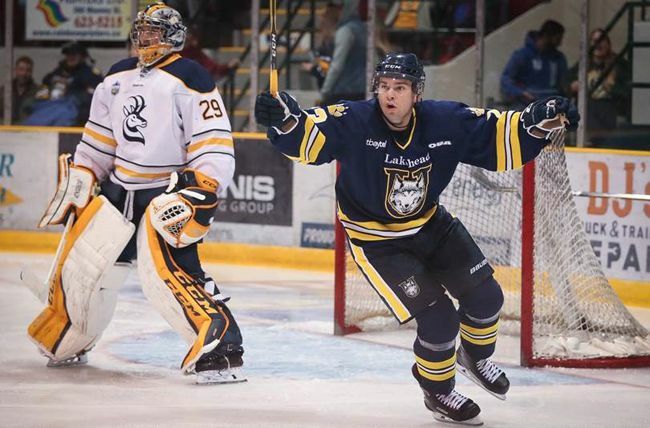 THUNDER BAY, ONTARIO - February 3, 2019 (LSN) The Lakehead Thunderwolves downed the Guelph Gryphons 4-1 before a crowd of 2,001 in a penalty-filled affair at the Fort William Gardens on Saturday night, and in doing so kept themselves in the hunt for a place in the OUA playoffs. 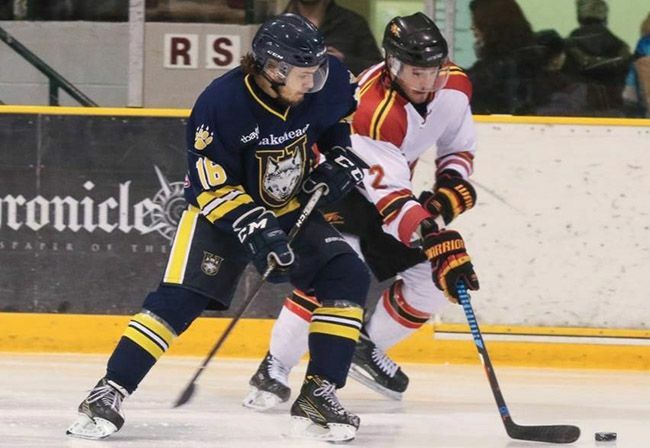 With playoff possibilities looming large for both teams, the Lakehead Thunderwolves will face the Guelph Gryphons in the Wolves’ last home games of the regular season this weekend. The opening face-off is set for 7:00 pm on both Friday and Saturday nights at the Fort William Gardens. 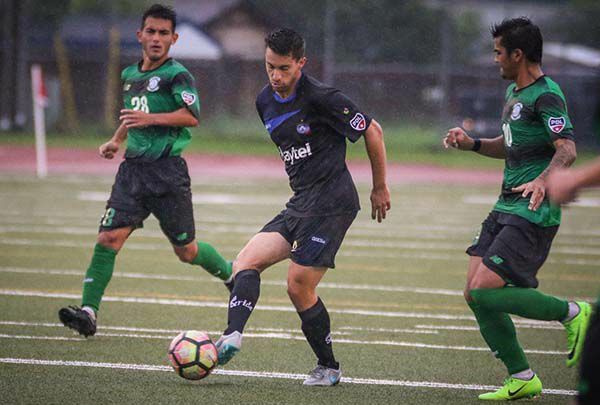 THUNDER BAY, ONTARIO – Juarary 30, 2019 (LSN) USL League Two (previously the PDL) released the 2019 schedule today including the 14-game regular season schedule for the Thunder Bay Chill. The Thunder Bay Chill will be celebrating their 20th season in the league opening on the road facing Kaw Valley FC on May 24th and the St. Louis Lions on May 26th. The Heartland Division remains at six teams. However, the Chicago FC United has moved over to the Great Lakes division and is replaced by a new team out of Green Bay, WI. 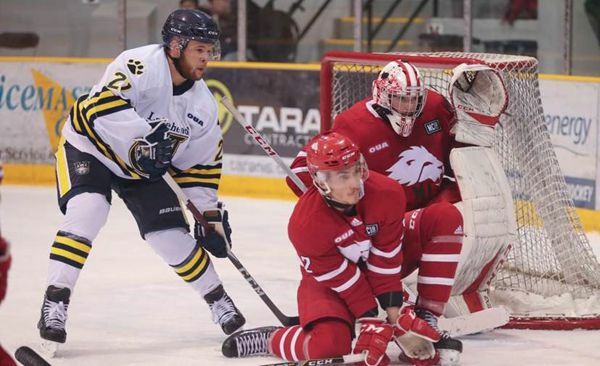 CATHARINES, ONTARIO - January 26, 2019 (LSN) In a game where the Thunderwolves just couldn’t get the offense to click, Lakehead was beaten 3-1 by the division-leading Brock Badgers at the Seymour-Hannah Centre in St. Catharines on Friday night. 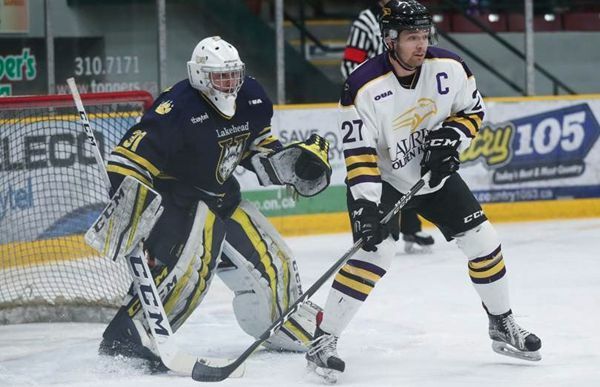 THUNDER BAY, ONTARIO - January 20, 2019 (LSN) To the dismay of the 1,954 hardy fans at the Fort William Gardens on a bone-chilling Saturday night in Thunder Bay, the Laurier Golden Hawks downed the Lakehead Thunderwolves 5-2 for the second night in a row to sweep the weekend series. 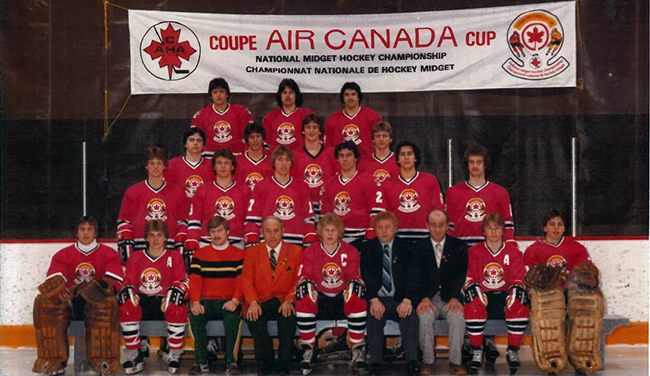 THUNDER BAY, ONTARIO - January 12, 2019 (LSN) Organizers of Canada’s National Midget Hockey Championship announced today that early bird tickets for the week- long tournament being held in Thunder Bay are now on sale. 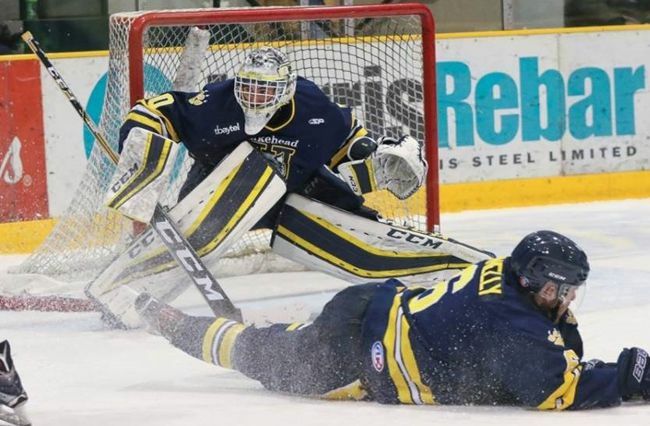 THUNDER BAY, ONTARIO - January 12, 2019 (LSN) Led by the goaltending of Nic Renyard and two third-period goals by Dylan Butler, the Lakehead Thunderwolves edged the Windsor Lancers 2-1 at the South Windsor Arena on Saturday night. 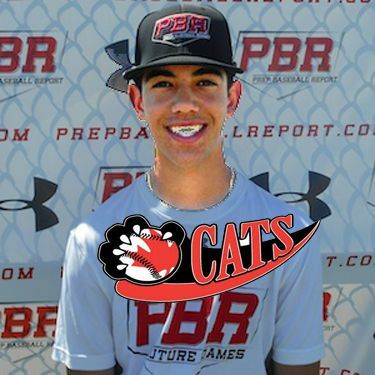 THUNDER BAY, ONTARIO - January 10, 2019 (LSN) The Thunder Bay Border Cats are pleased to announce the first player signings for 2019 Northwoods League season. Manager Eric Vasquez has signed Canadian born infielder Thomas Grilli, outfielder Anthony Galati, pitcher Brendan Cindric and infielder Nathan Soriano. SAULT STE. 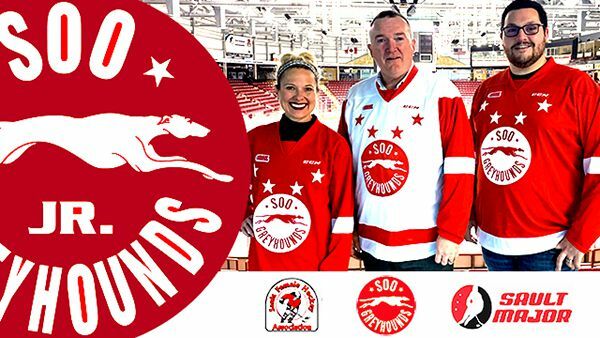 MARIE, ONTARIO - January 7, 2019 (LSN) Soo Greyhounds General Manager Kyle Raftis announced this evening the club has completed a deal with the Sudbury Wolves. 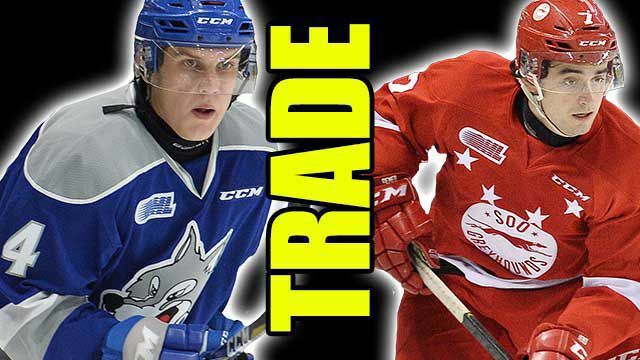 In the transaction the Greyhounds acquire 17-year old defenceman DREW WAWROW along with a a 5th Round Pick in the 2020 OHL Priority Selection (Sudbury’s) and 3rd Round Pick in the 2021 OHL Priority Selection (Mississauga’s) in exchange for 19-year old rearguard ANTHONY DEMEO. 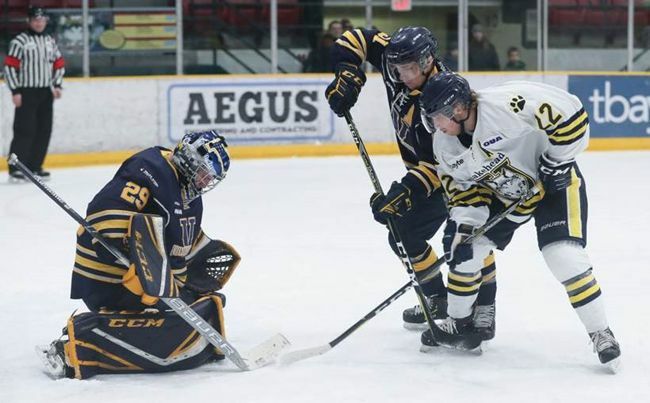 THUNDER BAY, ONTARIO - January 6, 2019 (LSN) In the second of an exciting two-game weekend, the Waterloo Warriors exacted a measure of revenge and felled the Lakehead Thunderwolves 5-3 to salvage a series split before a crowd of 2,008 at the Fort William Gardens on Saturday night. 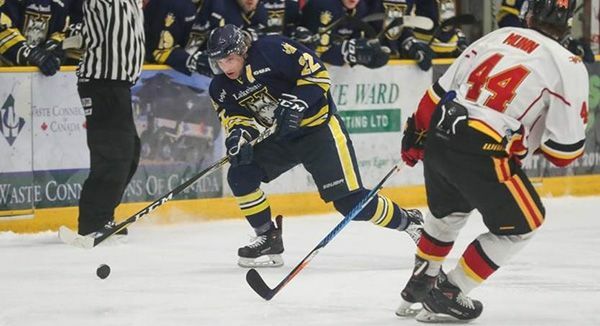 THUNDER BAY, ONTARIO - December 30, 2018 (LSN) The Lakehead Thunderwolves edged the Laurentian Voyageurs 3-2 in front of 2024 fans at the Fort William Gardens on Saturday night to sweep the two-game Christmas Challenge. The Wolves drew first blood with a short-handed goal at 6:49 of the first when Brennen Dubchak converted a two-on-one break after a nice feed by Jordan King, with Dillon Donnelly getting the other assist. 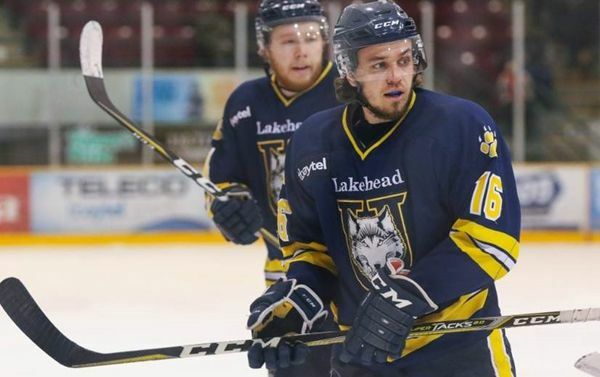 THUNDER BAY, ONTARIO - December 29, 2018 (LSN) The Lakehead Thunderwolves downed the Laurentian Voyageurs 4-1 before a crowd of 1,821 at the Fort William Gardens on Friday night. 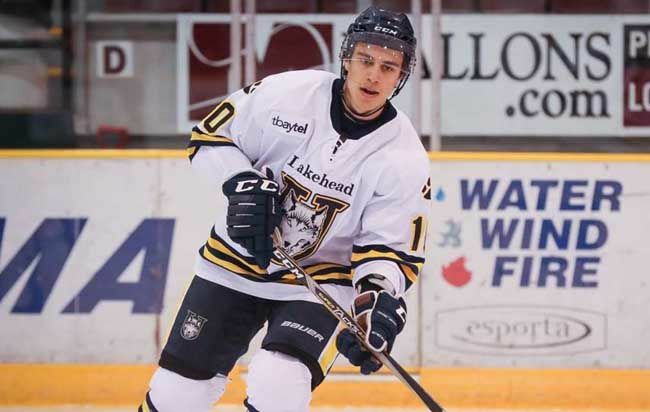 Lakehead’s Daniel Del Paggio opened the scoring at 11:52 of the first period on wrister from a sharp angle that eluded Laurentian goalie Michael Giugovaz, with Brennen Dubchak and John Masters getting the assists. SAULT STE. 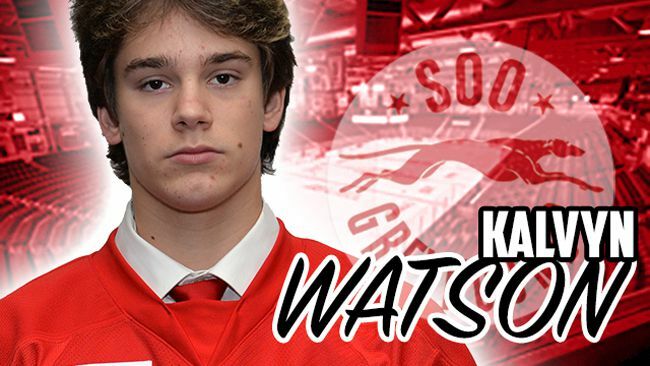 MARIE, ONTARIO - December 29 2018 (LSN) Soo Greyhounds General Manager Kyle Raftis announced this afternoon the signing and commitment of a member of the club’s 2018 draft class. Forward KALVYN WATSON (5th Round, 2018) has agreed to a standard player agreement with the Program. 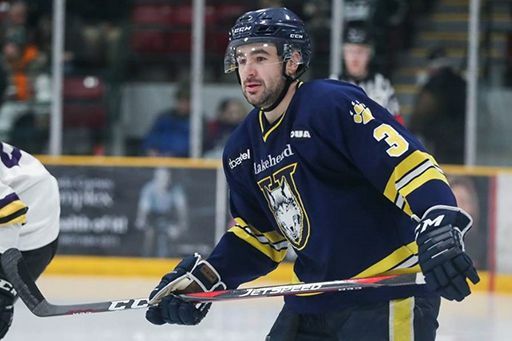 THUNDER BAY, ONTARIO - December 26, 2018 (LSN) Lakehead University and the Thunderwolves hockey team are pleased to announce that defenceman Chase Stewart has decided to put his professional hockey career on hold and will be joining the Thunderwolves for the Christmas Challenge games versus Laurentian on December 28-29. 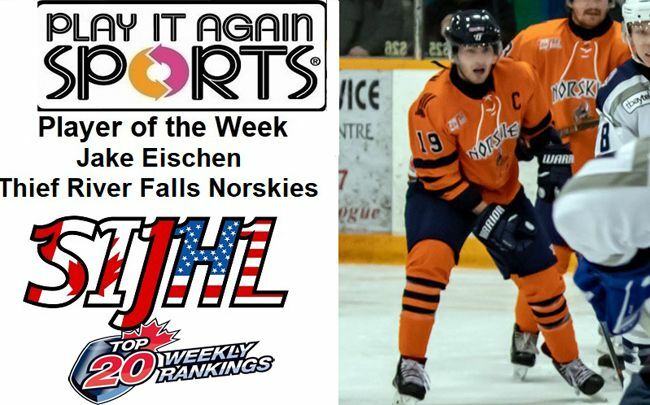 THUNDER BAY, ONTARIO – December 26, 2018 (LSN) The Superior International Junior Hockey League announced Monday that Thief River Falls Norskies defenceman Jake Eischen has been named its Play It Again Sports Player of the Week for the period ending Dec. 23. SAULT STE. 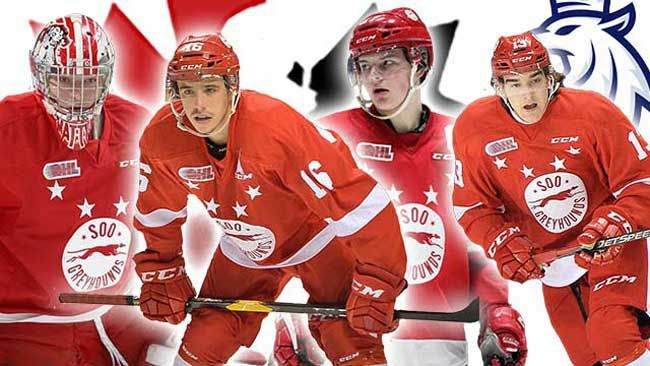 MARIE, ONTARIO - December 16 2018 (LSN) For the 10th straight season (the longest current streak in the CHL) the Soo Greyhounds will once again be represented at the Sherwin-Williams CHL/NHL Top Prospects Game. When forty (40) prospects head West to Red Deer, Alberta next month that group will include one Greyhound - JOE CARROLL. 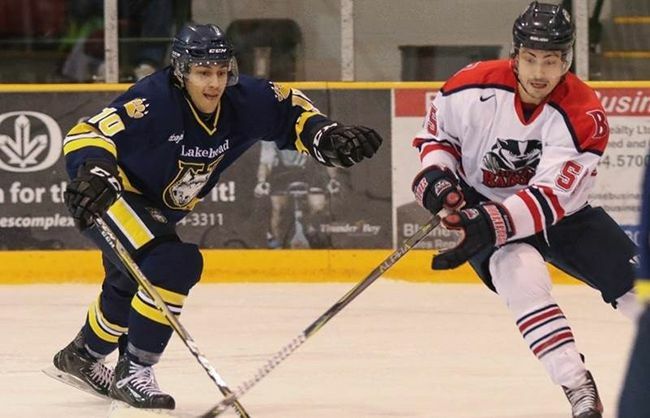 THUNDER BAY, ONTARIO - December 16, 2018 (LSN) The Lakehead Thunderwolves will host the Laurentian Voyageurs for a pair of games in the Christmas Challenge at the Fort William Gardens on December 28th and 29th, with the opening face-off set for 7:00 p.m. on both nights. THUNDER BAY, ONTARIO December 11, 2018 (LSN) Staal Foundation Open organizers, the Mackenzie Tour – PGA TOUR Canada and the Staal Family decided earlier this week to discontinue the Staal Foundation Open, beginning in 2019. 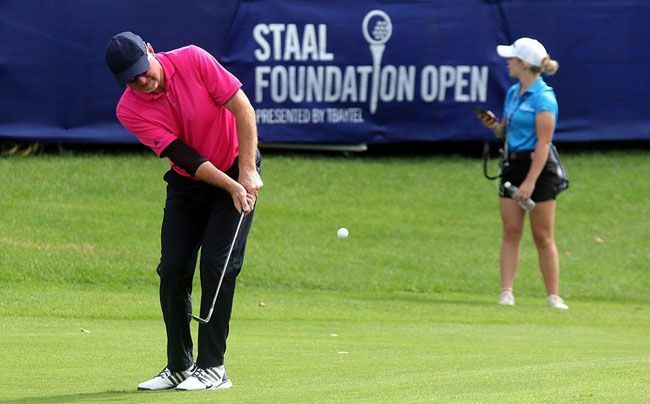 Since 2014, the Staal Foundation Open has beenthe highlight of the summer for Northwestern Ontario residents, and the tournament has raised over $1 million for local charities while making a significant economic impact in the region. 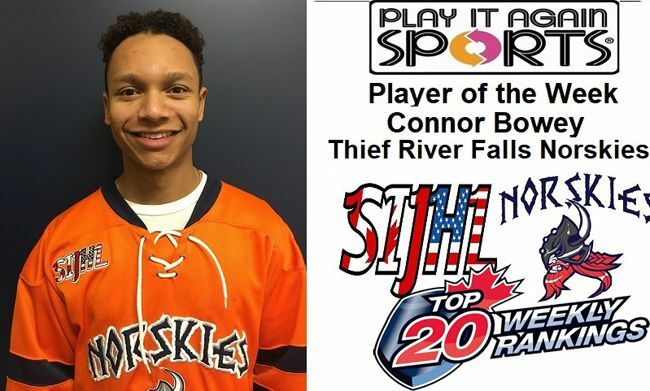 THUNDER BAY, ONTARIO – December 3, 2018 (LSN) The Superior International Junior Hockey League announced Monday that Thief River Falls Norskies forward Blake Nelson has been named its Play It Again Sports Player of the Week for the period ending Dec. 2. SAULT STE. MARIE, ONTARIO - December 3 2018 (LSN) As Ontario Hockey League teams move into the month of December and their pre-Christmas schedule, for a select number of those players an opportunity will present itself that they each have hoped for throughout their careers. To represent their home country on the International stage. 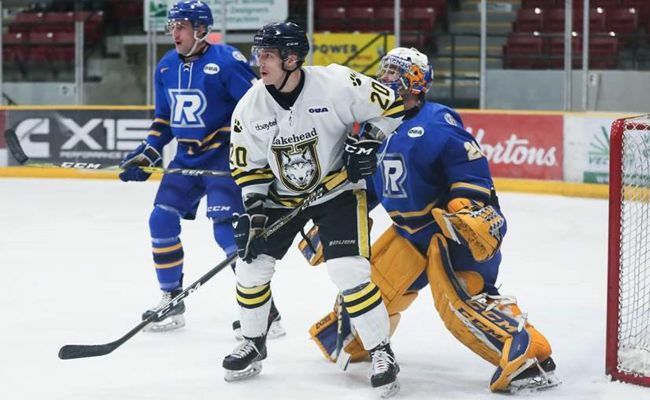 THUNDER BAY, ONTARIO - November 25, 2018 (LSN) The Lakehead Thunderwolves fell 7-1 to the Ryerson Rams in front of 2538 fans at the Fort William Gardens on Saturday night; a penalty-filled affair in which 130 minutes in penalties were handed out, most of them to Lakehead. 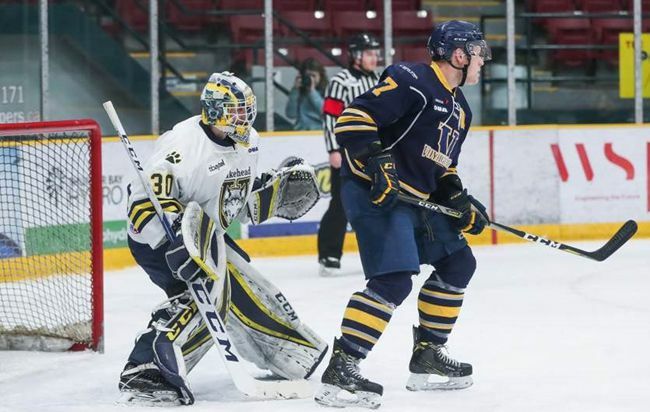 THUNDER BAY, ONTARIO - November 24, 2018 (LSN) The Lakehead Thunderwolves were toppled 5-3 by the division-leading Ryerson Rams before a crowd of 1,849 at the Fort William Gardens on Friday night. 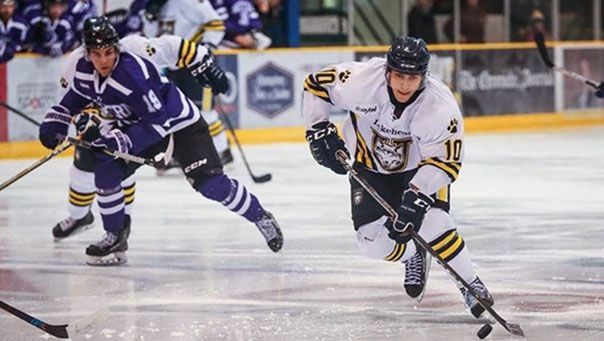 The Wolves will look to get back into the win column when they face-off against the Rams again Saturday night beginning at 7:00 p.m.
TORONTO, ONTARIO - November 6, 2018 (LSN) For the first time in over four years, the Lakehead Thunderwolves have broken into the U SPORTS Hockey Top 10 rankings. The Thunderwolves are off to a good start this season and with a record of 7-2 in OUA play and 11-3 overall, and came in ranked #10 in the country in the latest poll released today. 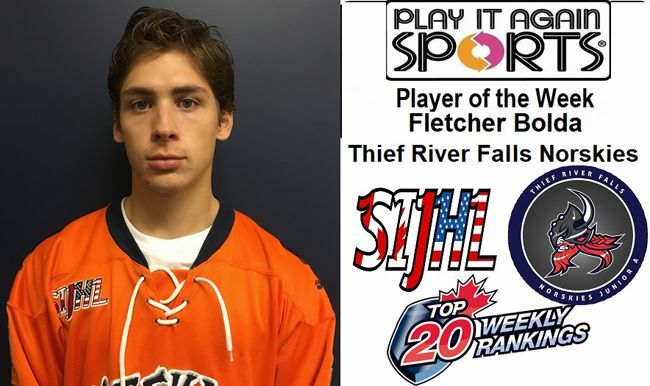 THUNDER BAY, ONTARIO – November 5, 2019 (LSN) The Superior International Junior Hockey League announced Monday that Thief River Falls Norskies goaltender Fletcher Bolda has been named its Play It Again Sports Player of the Week for the period ending Nov. 4. In two road starts over the weekend, the 19-year-old from Alpena, Mich., won both of them in backstopping the Norskies to a pair of victories. 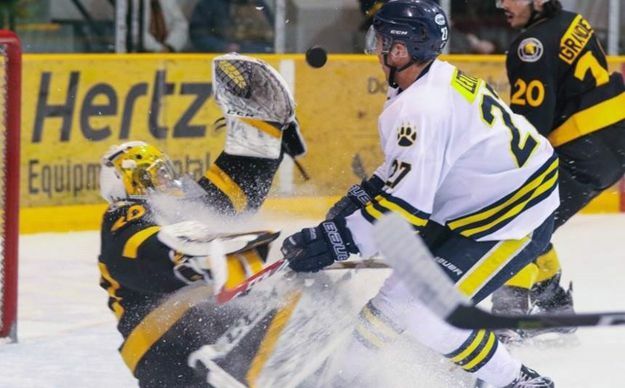 TORONTO, ONTARIO - November 4, 2018 (LSN) The Lakehead Thunderwolves defeated the Toronto Varsity Blues in dramatic fashion by winning 5-4 in overtime at the Varsity Arena on the U of T campus on Saturday night. 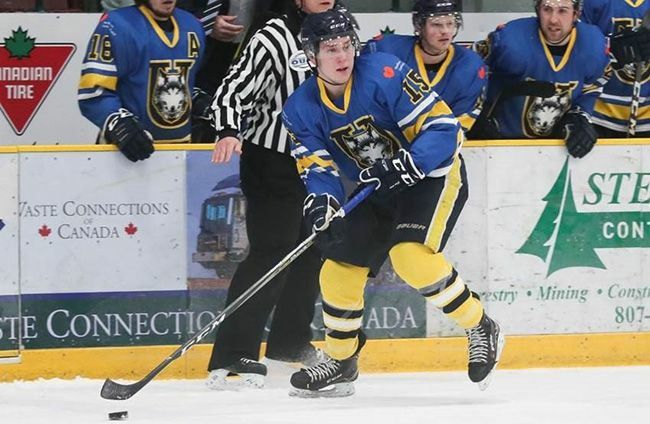 It was a game in which the Wolves never held the lead until the match was finally over, closed out by an amazing play Lakehead’s Patrick Murphy. 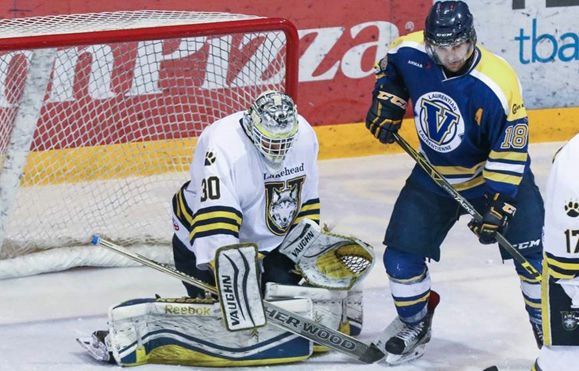 TORONTO, ONTARIO - November 3, 2018 (LSN) A three-goal outburst in the opening period, backed-up by the razor-sharp goaltending of Devin Green led the Lakehead Thunderwolves to a 5-1 victory over the University of Toronto at Varsity Arena on Friday night. Lakehead’s first three goals came in a span of less than six minutes, beginning with Scott Gall’s marker at 12:26 with Dillon Donnelly assisting. 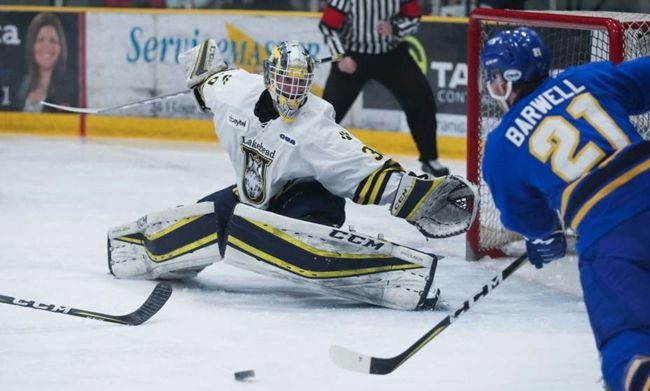 THUNDER BAY, ONTARIO - October 28, 2018 (LSN) A three-goal outburst in the opening period, backed-up by the razor-sharp goaltending of Devin Green led the Lakehead Thunderwolves to a 5-1 victory over the University of Toronto at Varsity Arena on Friday night. Lakehead’s first three goals came in a span of less than six minutes, beginning with Scott Gall’s marker at 12:26 with Dillon Donnelly assisting. 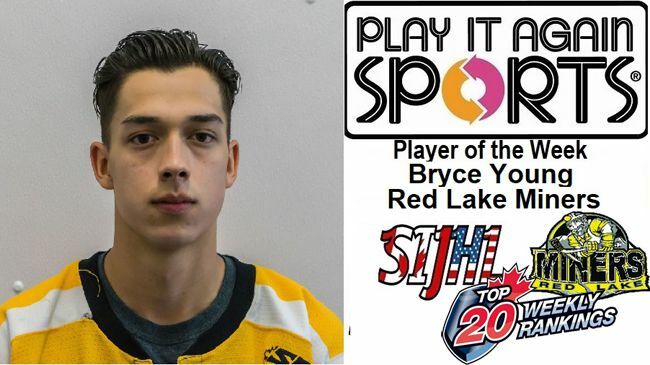 THUNDER BAY, ONTARIO – October 29, 2019 (LSN) The Superior International Junior Hockey League announced Monday that Red Lake Miners forward Bryce Young has been named its Play It Again Sports Player of the Week for the period ending Oct. 28. 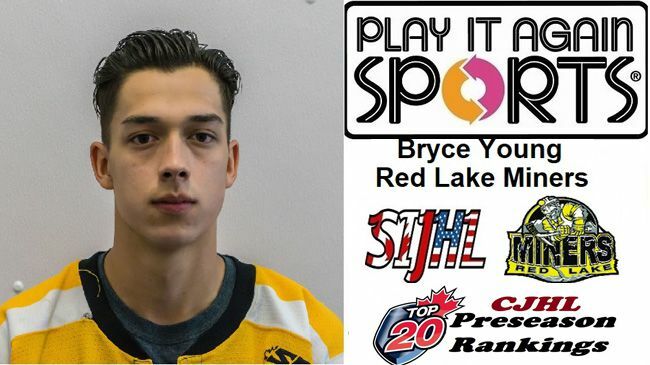 In three appearances last week, which were all Red Lake victories, Young amassed 11 points to vault into the overall SIJHL scoring lead. 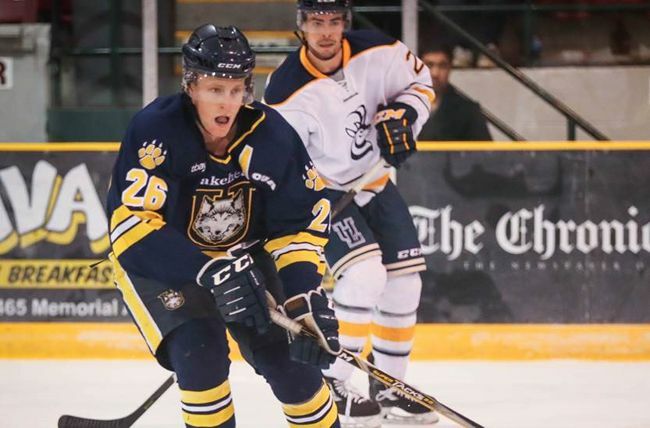 THUNDER BAY, ONTARIO - October 28, 2018 (LSN) For the second night in a row, the Thunderwolves held off a late charge from the Royal Military College and skated away with a hard-earned 4-2 victory, giving Lakehead a weekend sweep of the Paladins. The start of the game was delayed 15 minutes as the fire alarm in the Fort William Gardens sounded just as the teams came onto the ice, but when the 1.799 fans in attendance were given the all-clear signal and allowed to return inside, they were treated to some very competitive hockey. 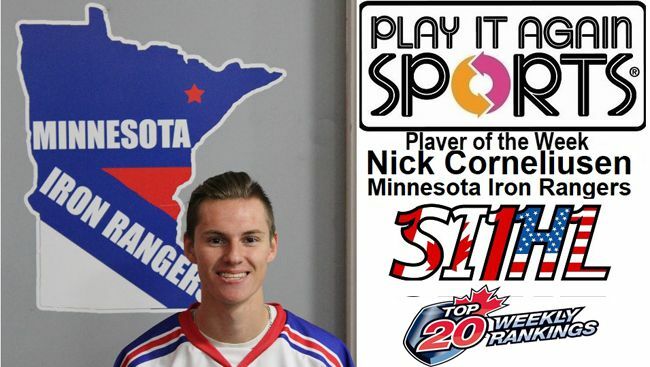 THUNDER BAY, ONTARIO – October 22, 2019 (LSN) The Superior International Junior Hockey League announced Monday that Minnesota Iron Rangers goaltender Nick Corneliusen has been named its Play It Again Sports Player of the Week for the period ending Oct. 21. MONTREAL, QUEBEC - October 21, 2018 (LSN) What a difference a day makes. 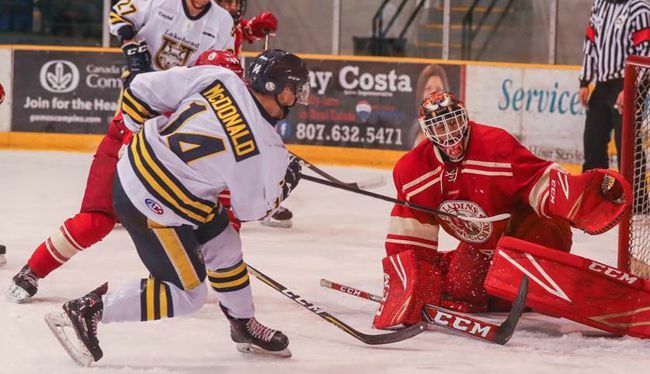 24 hours after falling 8-1 to McGill, the Lakehead Thunderwolves showed that turnabout is fair play by rallying to stun the Redmen 7-5 at the McConnell Arena in Montreal on Saturday night. 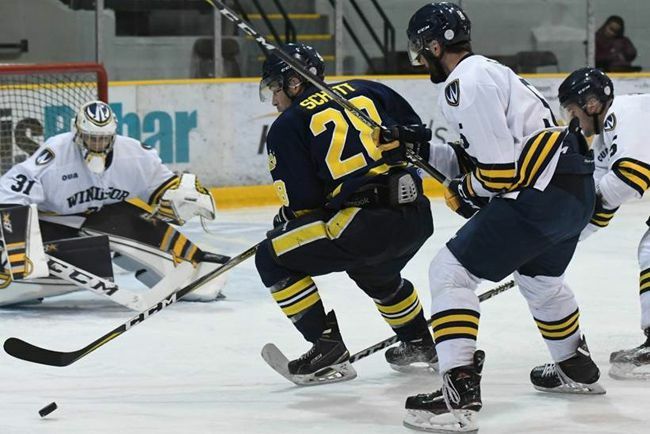 Led by the solid goaltending of Nic Renyard, the Lakehead Thunderwolves defeated the Western Mustangs 4-2 in front of 2,262 fans at the Fort William Gardens on Friday night. 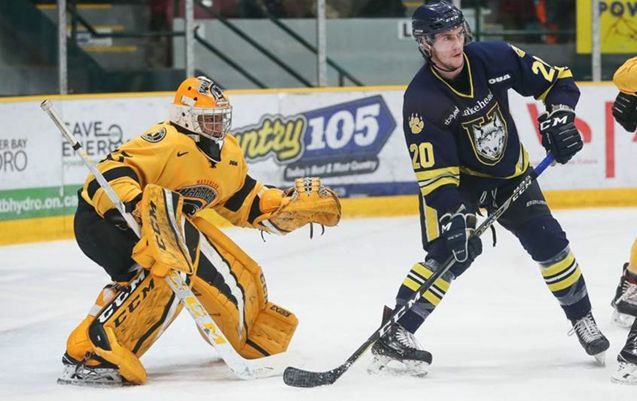 THUNDER BAY, ONTARIO October 11, 2018 (LSN) The Lakehead Thunderwolves hockey team will begin its OUA regular season this weekend with home games versus two long-time rivals. 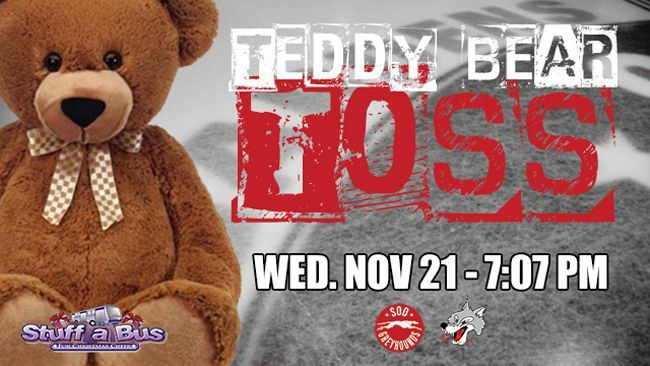 The Wolves will wrangle with the Western Mustangs on Friday evening before battling the Windsor Lancers on Saturday, with the opening face-off set for 7:00 p.m. at the Fort William Gardens on both nights. 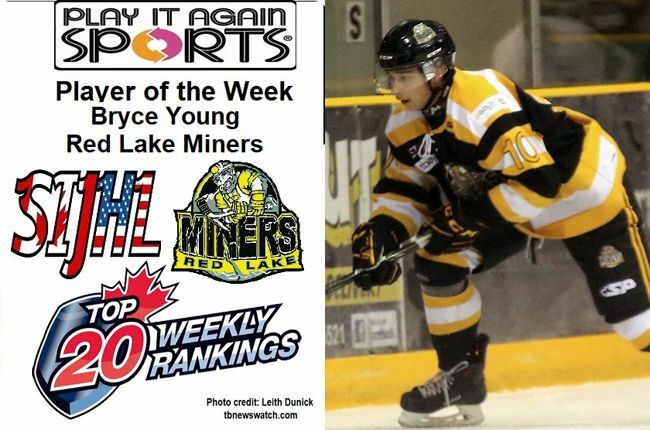 THUNDER BAY, ONTARIO – October 8, 2019 (LSN) The Superior International Junior Hockey League announced Monday that Red Lake Miners forward Bryce Young has been named its Play It Again Sports Player of the Week for the period ending Oct. 7. 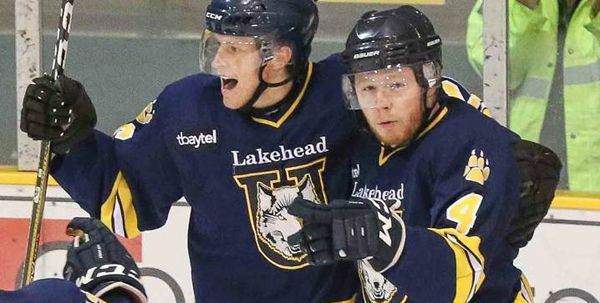 THUNDER BAY, ONTAIRO September 29, 2018 (LSN) The Lakehead Thunderwolves put on a dominating performance for the 2,026 fans at the Fort William Gardens on Saturday night, outshooting Nipissing 73-27 enroute to a 6-1 victory over the Lakers. 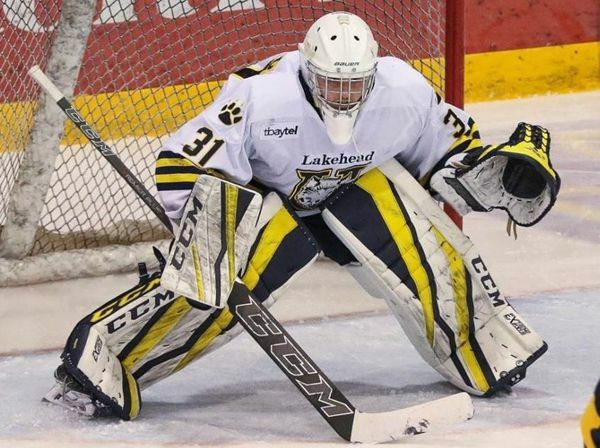 After a scoreless first period in which the Wolves fired 28 shots on Lakers’ goalie Taylor Joseph, Daniel McKitrick scored two goals just 11 seconds apart early in the second to stake Lakehead to a 2-0 lead. DULUTH, MINNESOTA – September 26, 2018 (LSN) The Duluth Park Series presented by Duluth Running Co. is a collaboration project with Duluth Running Co., DLH Clothing, and Hoops Brewing designed to bring awareness and make focused investments in Duluth Parks. In 2018, Duluth Running Co. is throwing a launch party for four different parks around the area: Chester, Lester, Hartley, and the Lakewalk. Each launch party will include the release of a limited production shirt collaborated on by Duluth Running Co. and DLH Clothing, alongside the release of a limited production specialty “Park” brew by Hoops Brewing. THUNDER BAY, Ont. 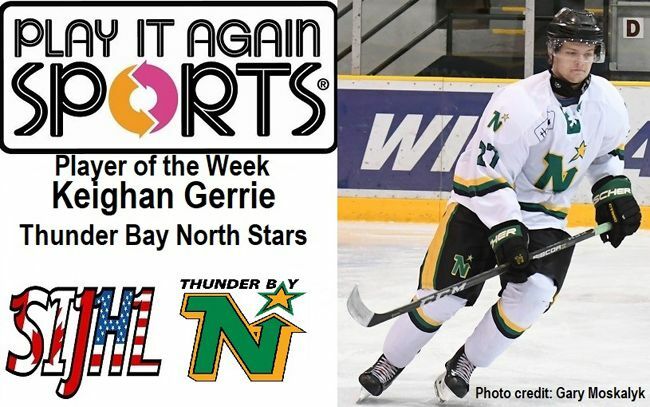 – The Superior International Junior Hockey League announced Monday that Thunder Bay North Stars forward Keighan Gerrie has been named its initial Play It Again Sports Player of the Week for the 2018-19 campaign. 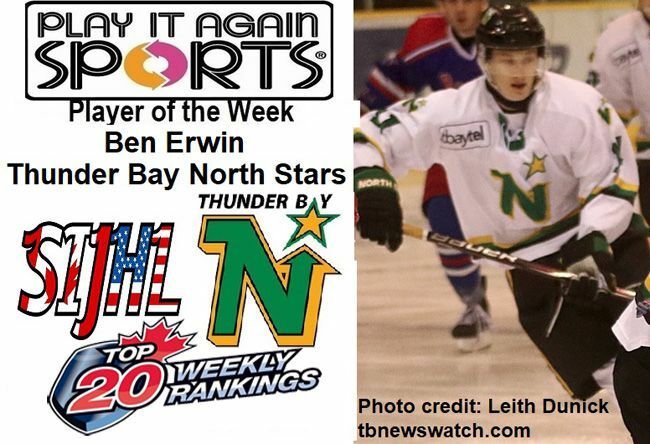 In two road contests over the weekend the 17-year-old Thunder Bay product registered a SIJHL-best six points helping the North Stars go 1-0-1 overall. 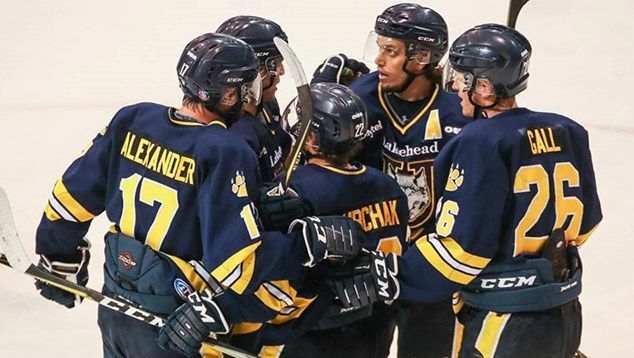 THUNDER BAY, ONTARIO - September 223 2018 (LSN) The Lakehead Thunderwolves rallied from two goals down in the third period and edged the Lethbridge Pronghorns 6-5 in an overtime shootout in front of a raucous crowd of 3,244 at the Fort William Gardens on Saturday night. 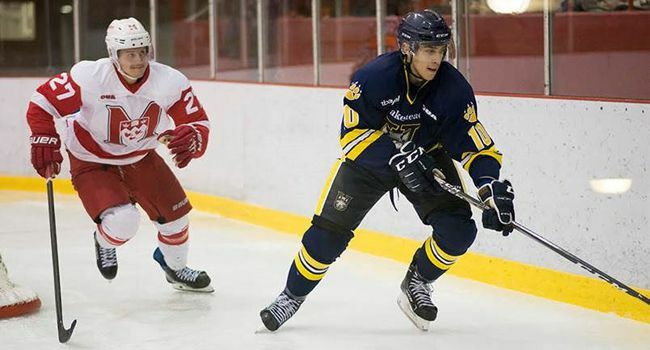 The come-from-behind victory gave Lakehead its first season-opening series sweep since 2010. 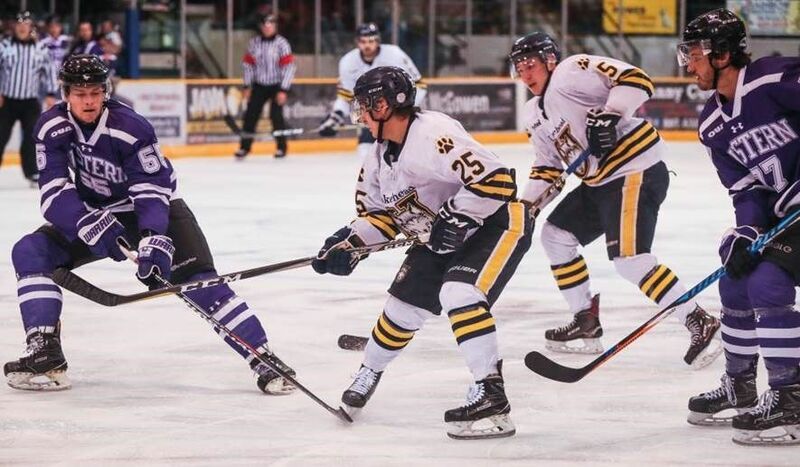 THUNDER BAY, ONTARIO - September 22, 2018 (LSN) The Lakehead Thunderwolves opened the season with a flurry of offense in the early going and held on to defeat the Lethbridge Pronghorns 5-4 before a crowd of 2,110 at the Fort William Gardens on Friday night. Brennen Dubchak lit the fire just 1:22 into the game when he broke in alone on Pronghorns’ netminder Garrett Hughson and beat him on the glove side, with Joe Leonidas getting the assist. 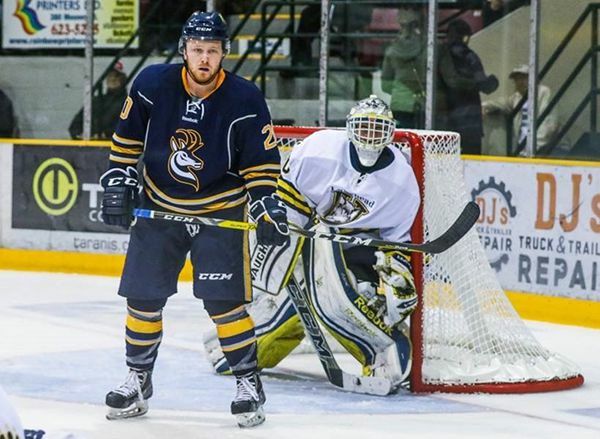 THUNDER BAY, ONTARIO - September 18, 2018 (LSN) The Lakehead Thunderwolves hockey team will begin its 2018-19 campaign with a two-game home series versus the Lethbridge Pronghorns of the Canada West Conference this weekend. 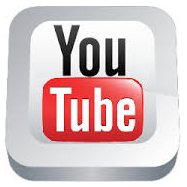 Game times are 7:00 pm at the Fort William Gardens on both Friday and Saturday nights. 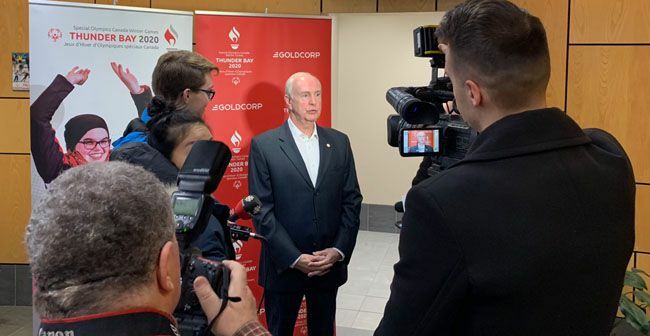 Hockey Night in Canada’s Ron MacLean will be in town this weekend as part of Lakehead University’s homecoming festivities. 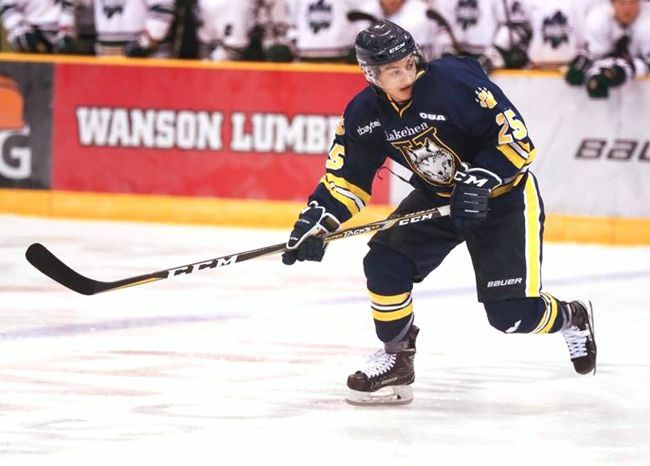 THUNDER BAY, ONTARIO - September 17, 2018 (LSN) Lakehead University and the Thunderwolves hockey team are pleased to announce that forward Tomas Soustal from Sternberk, Czech Republic has committed to the program. 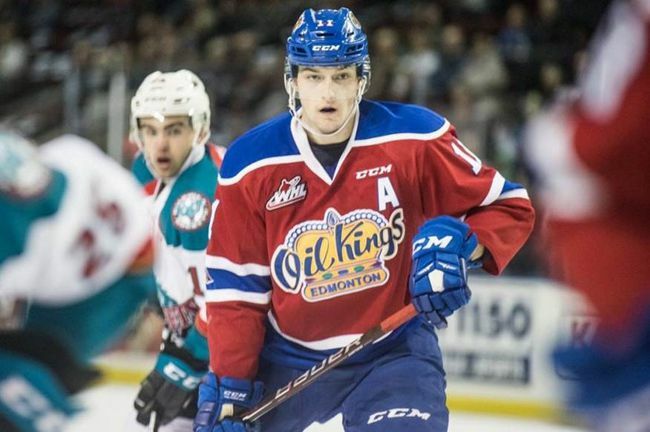 Soustal wound up a productive WHL career as a member of the Edmonton Oil Kings with a 62-point campaign in 2017-18. THUNDER BAY, ONTARIO - Septmember 10, 2018 (LSN) This Saturday September 15th at the Canada Games Complex from 10am till Noon the club will have club coaches on hand to show you the various equipment such as trampolines and dryland springboards. Afterwards you can even get wet and try the water springboards.